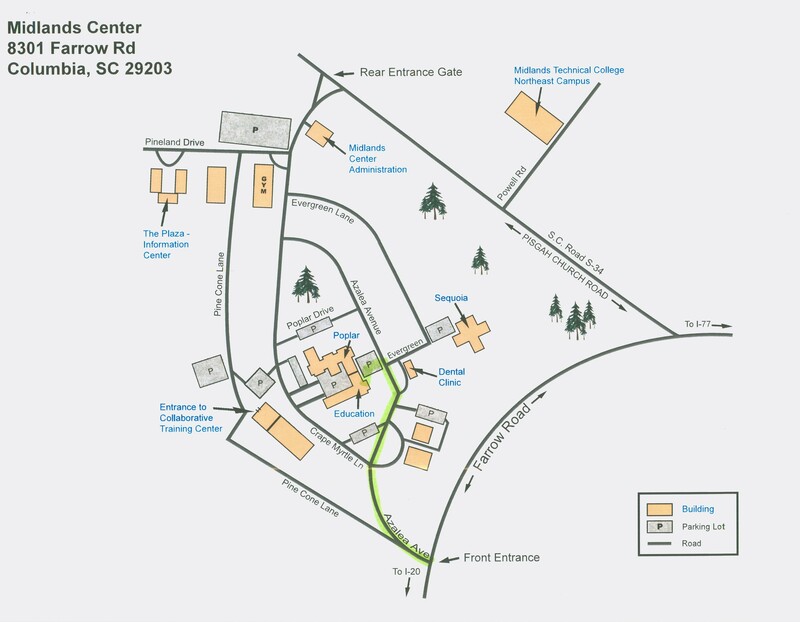 Directions to TECS: Come into the main entrance of the Midlands Center from Farrow Road; this is Azalea Avenue. Azalea Avenue curves toward the right; stay on Azalea Avenue (you will pass a sign for the Center for Disability Resources on the left side of the road). Continue approximately 100 yards and TURN LEFT into the next parking lot. This is the parking area for the Education Building. Enter the door on the left end of the building. TECS will be the first office on the left (Room 1). See Map to TECS. 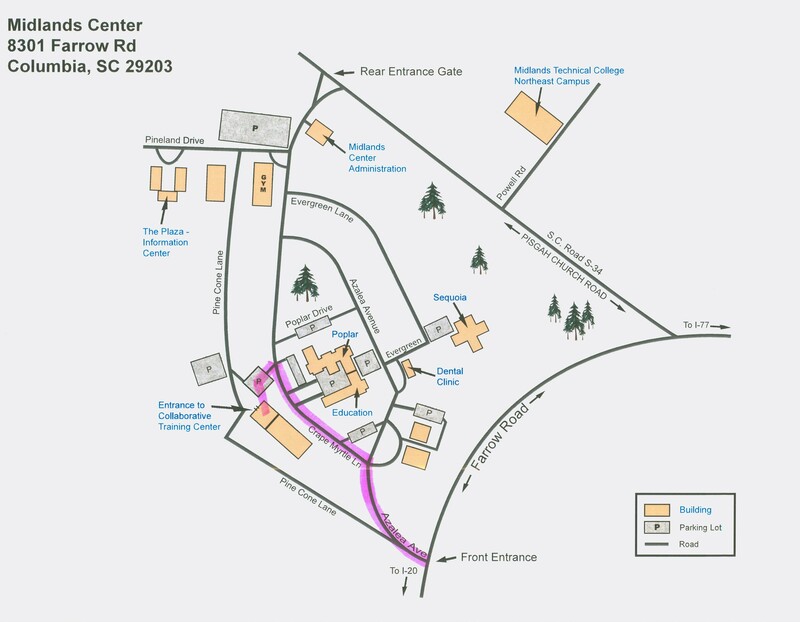 Directions to the Collaborative Training Center: Come into the main entrance of the Midlands Center from Farrow Road; this is Azalea Avenue. Turn left at Crepe Myrtle Lane. Follow Crepe Myrtle Lane until you see signs for the Collaborative Training Center Parking Area. The building will be on your left. See Map to Training Center. If you have any questions or comments about this site, please email stephanie.hicklin@uscmed.sc.edu.